Nine 7-Eleven owners and managers from Long Island and Virginia are under arrest after federal authorities accused them of masterminding an illegal immigration scheme and then exploiting workers smuggled into the country to work in the convenience stores. The group faces various charges including identity theft, conspiracy to commit wire fraud and concealing and harboring illegal immigrants. 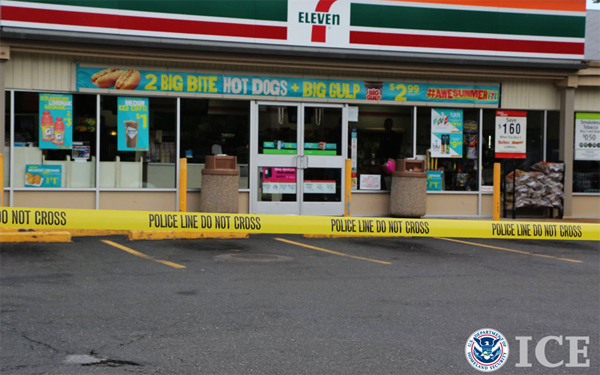 Another 7-Eleven manager is a fugitive, and federal agents seized 14 stores. The accused are from Pakistan and the Philippines and recruited workers from those countries. 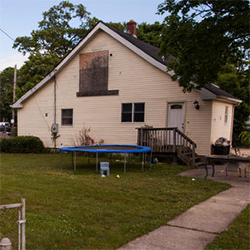 According to federal investigators, the owners and managers allegedly forced illegal immigrants to work up to 100 hours per week, and extracted rent and other money from them. 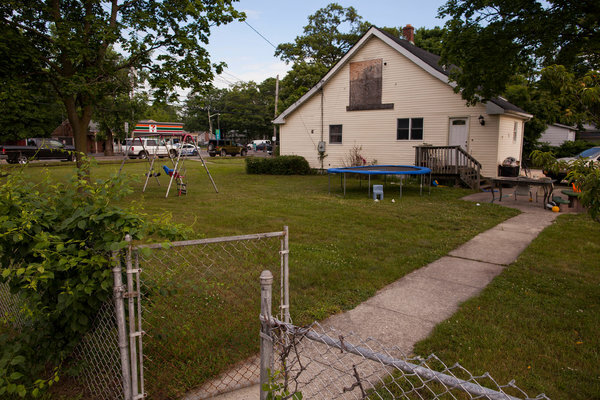 To cover their tracks, the group allegedly used 20 stolen identities, including those of an 8-year-old child and three dead people. 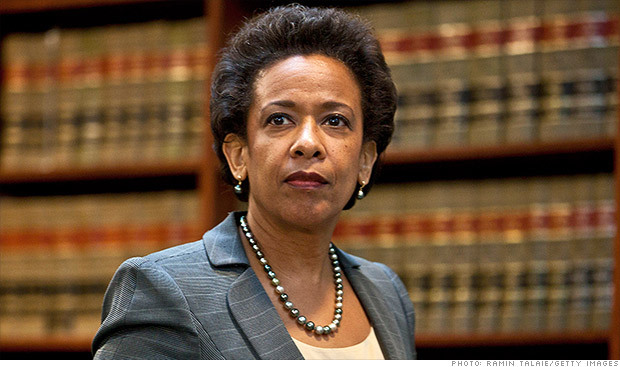 Federal prosecutors called the scheme a “plantation system,” which continued for 13 years. The workers themselves tipped off authorities to the abuse despite risking deportation because of their unauthorized work status. Categories: 7-Eleven Franchise News, 7-Eleven US Locations | Tags: Human Trafficking, Long Island | Permalink. Dallas-based 7-Eleven Inc. has taken over two more stores in Virginia as a result of pending felony charges against its franchisees brought by the U.S. Attorney’s Office in Brooklyn. 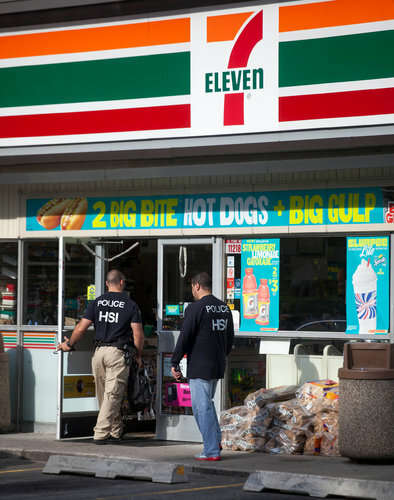 Last week, federal authorities indicted owners of 7-Eleven stores in Virginia and in New York on Long Island arresting nine owners and managers charging them with harboring and hiring illegal immigrants. Federal prosecutors called the scheme “a modern-day plantation system” forcing illegal immigrants to live in substandard conditions and giving them false Social Security numbers. Wages were minimal and stolen by managers. On June 17, 7-Eleven seized control of 14 stores, ten on Long Island and four in Virginia. The company took over two more stores in Virginia on June 18, said 7-Eleven spokeswoman Margaret Chabris on Thursday. “These stores are now open under the management of 7-Eleven Inc. 7-Eleven will continue to take action against franchisees who violate the law or its franchise agreement,” Chabris said in an emailed statement. Categories: 7-Eleven US Locations, Human Trafficking | Tags: Human Trafficking, Labor | Permalink. 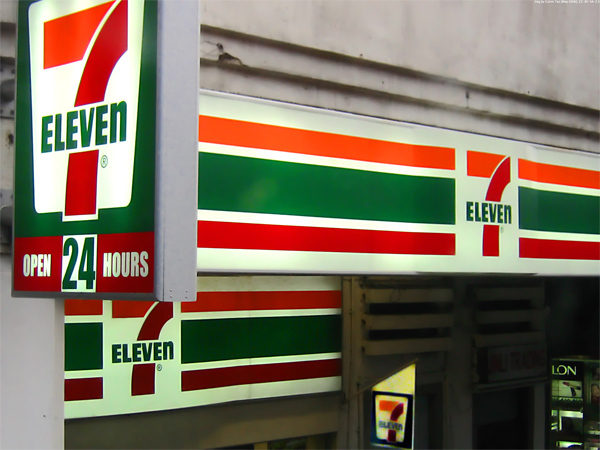 CSPNet: What Did 7-Eleven Know? DALLAS — A federal probe into human trafficking at 7-Eleven franchise locations is generating more questions and a broader investigation, according to sources familiar with both the company and the charges recently filed. A federal sweep earlier this month into one of the country’s largest cases of human trafficking netted a slew of indictments against 7-Eleven franchisees in Long Island, N.Y., and Virginia, including conspiring to harbor illegal immigrants employed at the stores, conspiracies to commit wire fraud and stealing identities. 7-Eleven corporate has not been charged with any wrongdoings and most recently issued a directive to its estimated 5,700 franchises to conduct self-reviews by end of June or face up to $1,100 in fines per violation. Additionally, 7-Eleven executive vice president and chief operating officer Darren Rebelez said the company will be conducting its own audits of franchises. The company’s actions come as sources tell CSP Daily News that the federal probe is expanding into other states and could involve the brand’s entire retail network. At play is 7-Eleven’s backoffice system and who knew what when, according to several 7-Eleven franchisees who spoke on condition of anonymity. Continue reading What Did 7-Eleven Know? Categories: Human Trafficking | Tags: Human Trafficking, Labor | Permalink. NORFOLK, Va. — The 7-Eleven independent franchisee worker exploitation case has moved to court, and more details are also beginning to emerge about the nature of the scheme that the federal investigation has uncovered. A federal judge in Norfolk, Va., overseeing the case is proceeding with added caution before allowing the defendants to return to their U.S. homes until a trial date out concern they may be flight risks to avoid prosecution. 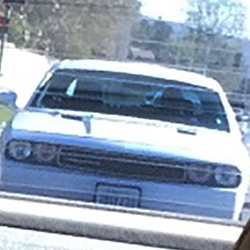 As reported in a Raymond James/CSP Daily News Flash, Judge Lawrence R. Leonard on Thursday ruled that defendant Tariq Rana would remain in federal custody until trial, said an Associated Press report. Attorneys said that one person from New York involved in the multi-state scheme has already fled back to Pakistan. For his decision, the judge cited the nature and severity of offenses, size and scope of charges, unaccounted for money and the fact that Rana is facing a 48-year maximum sentence plus deportation, reported WAVY-TV. If 7-Eleven Inc. can monitor Slurpees at its stores, why not labor practices? Last week, federal authorities seized 10 of the chain’s stores in Long Island, N.Y., and four in Virginia, and said the franchise owners were running “a modern-day plantation system.” They allegedly hired dozens of immigrants in the country illegally, assigned stolen identities, kept much of their wages and required them to live in boarding houses. This went on for 13 years. Nine people were charged with conspiracy to commit wire fraud, stealing identities and harboring illegal immigrants, according to federal indictments. It was another example of a broken immigration system, and a reminder that workers continue to be exploited while lawmakers debate change in Washington. The case also showed how big businesses can be drawn into immigration controversies, even if they’re not legally on the hook. And it raised the question of why the parent company wasn’t more vigilant. 7-Eleven’s corporate parent wasn’t charged, and a spokeswoman at its Dallas headquarters declined to discuss the case. In a statement, the company said it was cooperating with the investigation and would take steps to audit the employment status of all workers. The company also said that franchise owners must follow the law and 7-Eleven’s franchise agreement, which assigns all labor issues to the franchisees. In other words, it blamed the bad actors who exploited the workers. As the U.S. attorney said, they used 7-Eleven as a platform for an elaborate criminal enterprise. Starting on July 1, the company said it will send consultants to 5,000 of its franchises to make sure they’re in compliance. “We know that you are the sole employer of all associates in your stores, and we are not attempting to interfere with your employment relationship or control how you hire, fire or manage your employees,” said 7-Eleven chief operating officer Darren Rebelez, in a letter to franchises. Categories: 7-Eleven US Locations, Human Trafficking | Tags: Human Trafficking | Permalink.